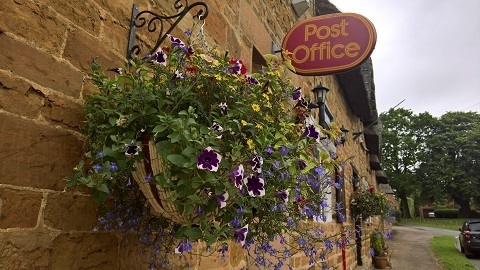 Great Brington Post Office and Village Store - trading for over 100 years. The business retails Newspapers, a range of greetings cards, stationery, confectionery, tobacco products, hot and cold drinks, beers, wines and spirits, bread, dairy products and grocery items, as well as also offering the usual post office services including foreign currency and has been trading for over 100 years. 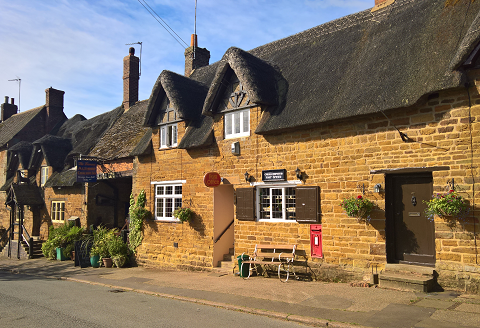 Great Brington is a village in Northamptonshire, England, in the civil parish of Brington, which at the 2011 Census had a population of about 200. St Mary the Virgin is the parish church. In 1508, John Spencer from Wormleighton in Warwickshire purchased the estate of Althorp outside Great Brington with its moated house and several hundred acres of farmland. He had grazed sheep here from the 1480s. In 1508, impressed by the quality of the land, he eventually bought it and rebuilt the house. In 1511 he made further purchases to acquire much of the surrounding countryside, including the villages of Little Brington and Great Brington, from Thomas Grey, 2nd Marquess of Dorset. Lawrence Washington (1602–1653), the great-great-grandfather of George Washington, first president of the United States, is buried in the chancel of Great Brington Church. The Macmillan Way long distance footpath passes through Great Brington. © 2017 BringtonsPO.com. All rights reserved.